Moving to six new states growing up taught me to be comfortable in all sorts of situations. That comfort has extended into the legal world. Growing up, Benjamin W. Akery’s family moved around a good bit, following the path of his father’s industrial safety career. “Moving to six new states growing up taught me to be comfortable in all sorts of situations,” says Ben. That comfort has extended to the legal world. In 2008 Ben joined the venerable Steinberg Law Firm, which was founded in the 1920s on the principle that individuals deserved representation against forces bigger than themselves. 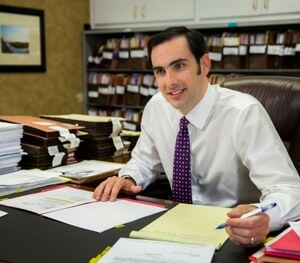 Ben became a partner at the firm in 2016. At Steinberg, he is concentrating on personal injury, workers’ compensation, and social security disability law. 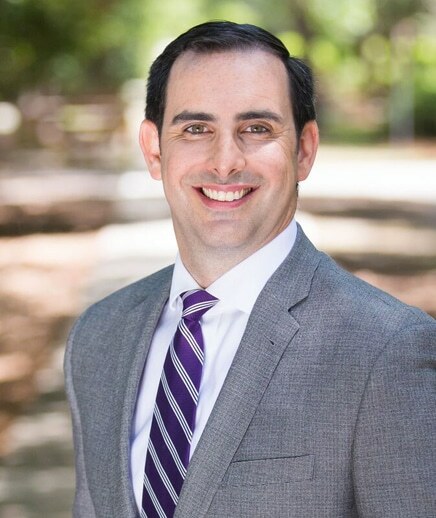 Ben is a member of the South Carolina Bar, Charleston County Bar, and Berkeley County Bar where he served on the board of directors and as president of the young lawyers division. He serves on the board of governors for the South Carolina Association for Justice and is a member of the Injured Workers Advocates. For three years in a row, he has been listed in Best Lawyers in America for 2016, 2017 and 2018. He was selected as a Super Lawyers Rising Star in 2017 and was nominated by The National Trial Lawyers Association as one of the Top 40 Attorneys Under 40 in South Carolina.